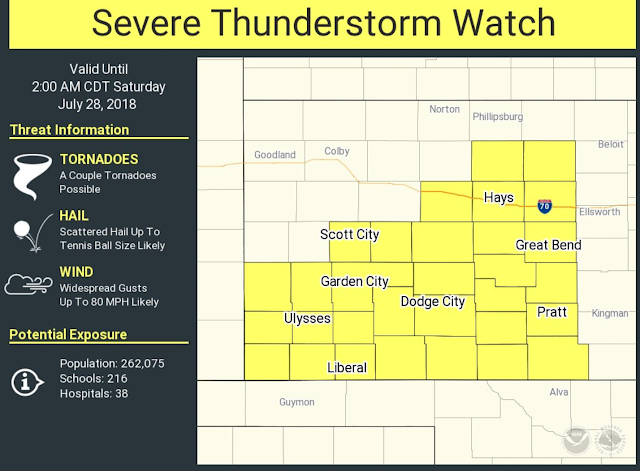 A Severe Thunderstorm Watch has been issued until 2:00am. Tennis ball size hail, winds to 80mph, and isolated tornadoes are all possible. Stay weather aware, and be prepared to seek appropriate shelter as necessary.